The Neston and District Community Fund wants to hear from charities and community groups targeting a number of vital social projects. While the fund will potentially support any worthy project, it particularly wants to hear from those working in the areas of social deprivation, social isolation, drug avoidance and rehabilitation. The Neston & District Community Fund was launched earlier this year to support community and voluntary groups in Neston, Little Neston, Parkgate, Burton, Ness, Willaston and Puddington. It has already helped to ensure that the Family Fun Day in West Vale Park, Little Neston, will go ahead. The Fund donated £600 to go with a second grant of £600 from Neston Town Council to cover the total cost of £1,200. Further announcements on projects that have been supported will be announced over the coming weeks. Phil Bates, Principal at Phillip Bates & Co accountants, said: “We are particularly keen to hear from groups who are tackling some of the biggest issues facing our community including social deprivation, drug avoidance and drug rehabilitation. In addition to projects, the Fund is also looking for other businesses and individuals to become donors in order to grow the amount of money available to support deserving causes. The fund is administered by Cheshire Community Foundation, which actively promotes philanthropic giving, enabling it to secure additional funding from other funds operating in Cheshire. If you would like to apply for a grant, please call Cheshire Community Foundation on 01606 330607. A leading Wirral veterinary practice is set for the next chapter in its history. Long-time partner Bruce Marsden has sold his shareholding in Birch Veterinary Centre to Archie Kendall, who has been a vet at the practice since 2003. Archie will now be responsible for taking the practice forward with fellow partner Phil Shepherd. The original practice dates back more than 100 years to 1904 and for many years it was a mixed practice combining farm work with companion animals. These days the centre focusses entirely on companion animals and during the course of a typical year will see more than 12,000 animals including cats, dogs, rabbits and exotics. The practice’s accountant Phil Bates, Principal of Neston-based accountants Phillip Bates & Co, advised on the sale of Bruce’s shares to Archie. Archie said: “With Bruce approaching retirement, it made sense for me to purchase his shareholding. “There were lots of issues to consider including the sale and purchase of Bruce’s shareholding and various property interests across the practice’s three surgeries in Oxton, Thingwall and Moreton. Phil had recently worked closely with Bruce and Phil on the £160,000 redevelopment and refurbishment of the practice in Oxton. The investment in the redevelopment of the centre enabled the practice to create more consulting rooms in a part of the building that was not previously being used as well as separated dog and cat hospitalisation and modern surgical facilities. Alan Mellor, MD of Phillip Bates & Co Financial Services, has also advised the practice on a range of financial matters for many years. Archie said: “I am looking forward to working with Phil Shepherd in partnership. He and Bruce have built a very successful and well run practice and it is my job to help ensure it continues to go from strength to strength. Bruce said: “I am delighted that Archie has taken over from me as a partner in Birch Veterinary Centre. The practice has come a long way in the last 20 years and I look forward to watching it continue to flourish as it begins the next chapter in its history. Phil Bates said: “I am delighted to have been able to advise the practice on the transfer of Bruce’s shareholding to Archie. Other advisers included Ian MacGregor, of Lees Solicitors, who acted for Bruce, and Jonathan Cobbold, of Rudlings Wakelam Solicitors, who acted for Archie. The newly launched Neston & District Community Fund has helped ensure a Family Fun Day in West Vale Park, Little Neston, will go ahead. The Fund, which was set up in February, has donated £600 to go with a second grant of £600 from Neston Town Council to cover the total cost of £1,200. The funding covers insurance, First Aid cover, hire of a small marquee, tables and chairs, publicity, face-painting and a number of workshops including animal handling and crafts. The fun day, which takes place in August, will allow organiser, the Friends of West Vale Park, to consult residents on its plans for the coming year. The Neston & District Community Fund was set up to support community and voluntary groups in Neston, Little Neston, Parkgate, Burton, Ness, Willaston and Puddington. Phil Bates, Principal at Phillip Bates & Co accountants, said: “We had no hesitation in providing funding for the West Vale Park Family Fun Day. Supporting worthy projects such as this is the reason we decided to launch the Neston & District Community Fund. The fund is administered by Cheshire Community Foundation, allowing it to secure additional funding from other funds operating in Cheshire. Helen O’Donnell, Chief Executive of Cheshire Community Foundation, said: “We are delighted that the Neston & District Community Fund has made its first donation. “It is an excellent example of local philanthropy in action and a model we believe can be rolled out across Cheshire. Since Cheshire Community Foundation was founded in 2012, more than £1.6million has been given in grants with in excess of £456,000 going to causes in Cheshire West and Chester. Phil Bates, Principal of leading Cheshire accountants Phillip Bates & Co, said: “I am surprised the Chancellor did not seek to be bolder with his last Budget before the General Election. Bates, whose offices are in Neston, also labelled the further reduction in the lifetime pension allowance saving to £1million as “pension apartheid” penalising those who have worked hard to build their pension pots. The allowance has been repeatedly cut from a figure of £1.8million four years ago. help-to-buy ISA which will see the Government add £50 to every £200 first-time buyers put away towards a deposit. Private landlords are being warned to get their tax affairs in order to avoid being caught in a crackdown by tax inspectors. Phil Bates, Principal at leading Cheshire accountant Phillip Bates & Co, says the potential penalties are severe unless landlords ensure they have registered with HM Revenue & Customs. Phil, who has more than 100 landlords as clients, says the Revenue has stepped up its campaign to bring to book any landlords who they believe are avoiding paying tax due on rental properties. Figures for 2013-14 showed that tax inspectors obtained more than £130million as a result of enquiries into underpayments of capital gains tax. Fewer than 500,000 taxpayers are registered with HMRC as owning second properties. HMRC estimates that the true number of landlords is much higher, at around 1.5 million. Since January, a number of landlords have contacted Phillip Bates & Co having received letters from the Revenue over unpaid tax. Phil, whose offices are in Neston, said: “A number of new clients are private landlords who have fallen foul of HMRC. “A landlord must pay tax on profit just like any other business but only after costs – known as allowable expenses – have been deducted. “This is where there is sometimes uncertainty. For example, allowable expenses do include reasonable repairs and maintenance to keep a property in good order, but they do not cover renovation costs incurred prior to letting or extensions, although these can usually be claimed for capital gains tax purposes when the property is sold. “The potential penalties for landlords failing to pay their tax are severe – as much as 35 per cent of the potential lost revenue is standard, where HMRC makes initial contact with landlords. “The Revenue is able to gather information on private landlords from various sources. The way to avoid a nasty investigation is to register as soon as possible and ensure your tax affairs are in order. Vital community projects in Neston and District have been given a boost with the launch of a fund backed by local businesses. 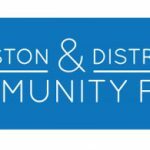 The Neston & District Community Fund has been set up to support community and voluntary groups in Neston, Little Neston, Parkgate, Burton, Ness, Willaston and Puddington. Four businesses – Phillip Bates, Clive Watkin Partnership, Rightway and G Tilby Engineering – have launched the fund with an initial substantial donation. The Fund is now looking for other businesses and individuals to become donors in order to grow the amount of money available to support deserving causes. It also wants to hear from charitable organisations and community groups in need of funding to support specific projects. 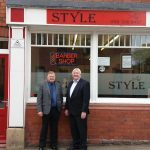 Phil Bates, Principal at Phillip Bates & Co accountants, said: “All four founding businesses are long established in Neston & District and believe passionately in the importance of supporting the local community. “The Neston & District Community Fund is about ensuring local money goes to local causes. David Clarke, Managing Director of Rightway and Chair of Neston & District Chamber of Trade, said: “We hope this is the start for all businesses locally, both national and independent, to give back to our community. The fund is administered by Cheshire Community Foundation, enabling it to secure additional funding from other funds operating in Cheshire. Helen O’Donnell, Chief Executive of Cheshire Community Foundation, said: “We are delighted to be able to support the launch of the Neston & District Community Fund. If you would like to apply for a grant, please call Alison Tansey at Cheshire Community Foundation on 01606 330607. A Cheshire accountant says businesses are increasingly looking for greater support from their professional advisers. Phillip Bates, the Principal at Phillip Bates & Co accountants in Neston, says business owners expect “a lot more than the numbers”. Bates offers a specialist business development programme for firms looking for a more hands-on role. This involves Phil and his team helping owners to maximise their company’s potential through the development of a clear business strategy. This service can include attendance at monthly board meetings and spending time within the client’s business. Phil, who has worked with business owners for over 30 years, said: “The continuing economic uncertainty has left many business owners in a state of confusion. “One day, they hear good news about the economy, while the next the news is less promising. This makes it very hard to forecast and plan with conviction because the fear is always there that the economy will start to slide again. “This continuing state of uncertainty means that business owners are rightly more demanding than ever of their professional advisers. They don’t just want them to present them with a set of accounts – instead, they want far more proactivity and mentoring. Brian Blanchfield, the former owner of Wirral-based manufacturer BMB Weatherproof Canopies, is one client who went through the business development programme. Phil advised Brian for more than 15 years before the successful sale of BMB earlier this year which saw more than 20 companies express an interest in buying the £2million turnover business. Blanchfield said: “Phil’s advice and guidance has been invaluable over the years and he became a key part of our business, including attending monthly board meetings. “Running a successful business requires many different skills and I would be the first to admit that the accountancy side of things is not my strongest area. This is why the relationship with Phil was so important – he is insistent on setting realistic yearly budgets and each month he is able to give us a good indication about our finances and the general state of the market. An accountant has issued a checklist to help the expected flood of New Year entrepreneurs decide if going it alone is right for them. Phil Bates, Principal at Cheshire and Wirral accountants Phillip Bates & Co, says that many people will use the Christmas holidays to make their final plans to set up on their own, while others will do so having been made redundant as a result of the continuing tough economic climate. Does a market exist for your business idea or product? Where will your first client, project or sale come from? Have you got enough income / savings to sustain you and any family until the business establishes itself? Have you done a business plan – written down, not just in your head? How are you going to find new opportunities while satisfying demands of the business you have? Are you ready not to have a regular pay cheque? Are you able or happy to reduce your expenditure while you develop your business? Are you ready to live and breathe your business including working longer hours? Is your family ready for you to take the plunge? Do you back yourself 110 per cent to succeed? Phil, who has worked with business owners for more than 30 years, said: “We always see an influx of people wanting to set up on their own after the Christmas and New Year period. “In some cases, it is something they have been mulling over for some time but the extended holiday has given them time to decide to go for it. For others, they make it a New Year resolution to enter the world of self-employment. “The number of would-be entrepreneurs has increased in the last few years because of the recession and people being laid off or taking redundancy. Businesses are holding back on seeking investment to grow because they are still suffering the “aftershocks” of the longest recession in living memory. Phil Bates, Principal of Cheshire and Wirral accountants Phillip Bates & Co says there is a “fear factor” among companies in the North West because the economy remains “fragile”. Bates, whose office is in Neston, said: “The lack of certainty in the economy makes it extremely hard to plan ahead. Businesses are seeing a number of good weeks followed by flat weeks. “I think the banks are keen to lend to businesses again, but the bigger issue is the reluctance of companies to take on finance. There remains a fear that any growth will be temporary and that the banks could then pull the rug from under them. Bates said that avoiding investment in a business could be a false economy. He said: “During the recession, a lot of companies cut costs in all sorts of areas including training, marketing, repairs and maintenance. For manufacturing businesses, too much short-termism can be a dangerous thing, for example continually patching up an important production line rather than investing in a new one. “Businesses need to scrutinise all of their costs. If a cost is making a contribution to top line sales or bottom line profits then it is usually a cost worth shouldering. Bates said he welcomed many of the new entrants offering businesses alternative forms of finance. 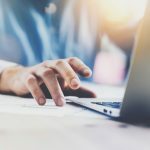 He added: “There is no doubt that for the right business owner, alternative finance such as crowdfunding can be a good option, but there is a need to do your due diligence. “It is important to read the small print and understand any risks that might be written into a contract. Sometimes, business owners are so desperate for funding they do not carry out all the necessary checks. Four out of every five businesses are increasing their chances of failure by not putting in place a robust business plan from the outset. Leading Cheshire and Wirral accountant Phil Bates, Principal at Neston-based Phillip Bates & Co, says as few as 20 per cent of new businesses have a detailed plan in place when they start up. Bates, who has been advising owners of SMEs for 30 years, said: “One of the impacts of the recession is that a greater number of people are considering going it alone, either because they have lost their jobs or have taken redundancy. Because the need is greater and more urgent, the result can sometimes be that serious planning falls by the wayside. “Setting up a business is not something to be taken lightly. You need to understand your company, its competitors, the size of the market, potential customers, likely funding required and a whole host of other matters. Bates said that his firm provides prospective clients with a specially created outline business plan to assist in their preparation. He added: “We will always tell people thinking about setting up a business what the downsides and risks are. “Running your own business becomes your life. It can often mean a significant financial and personal investment and risk. It therefore makes sense to do as much homework as possible before starting out on the journey.